The Phottix Padat 200 has legs that fold in line with each other, creating a slimmer profile that is easier to pack neatly into bags and cases. 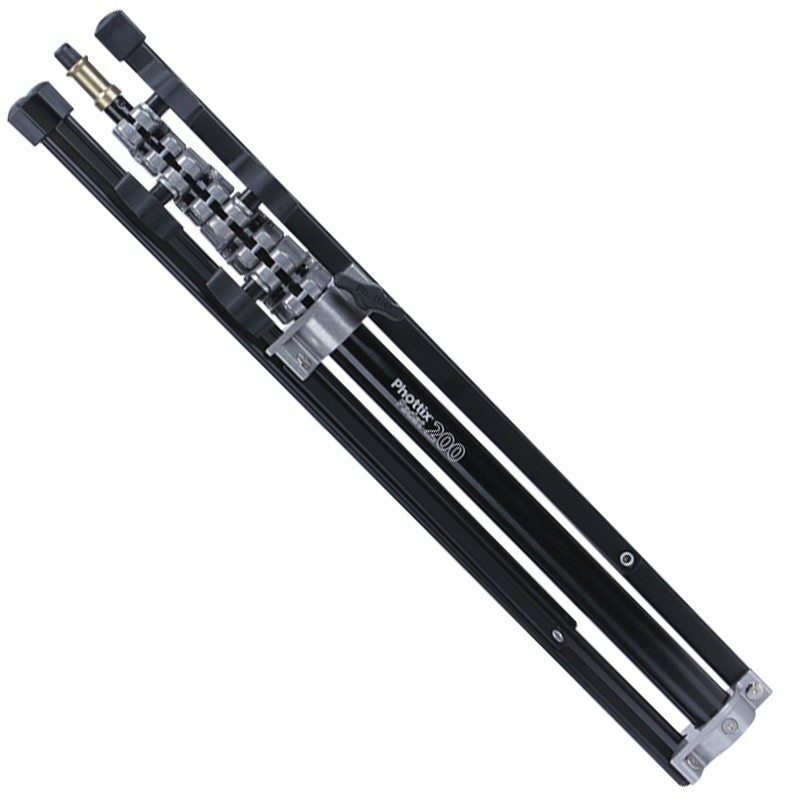 Reflex-folding light stands are extremely popular among photographers shooting on location, because are very short when collapsed, making them easy to store and carry around. 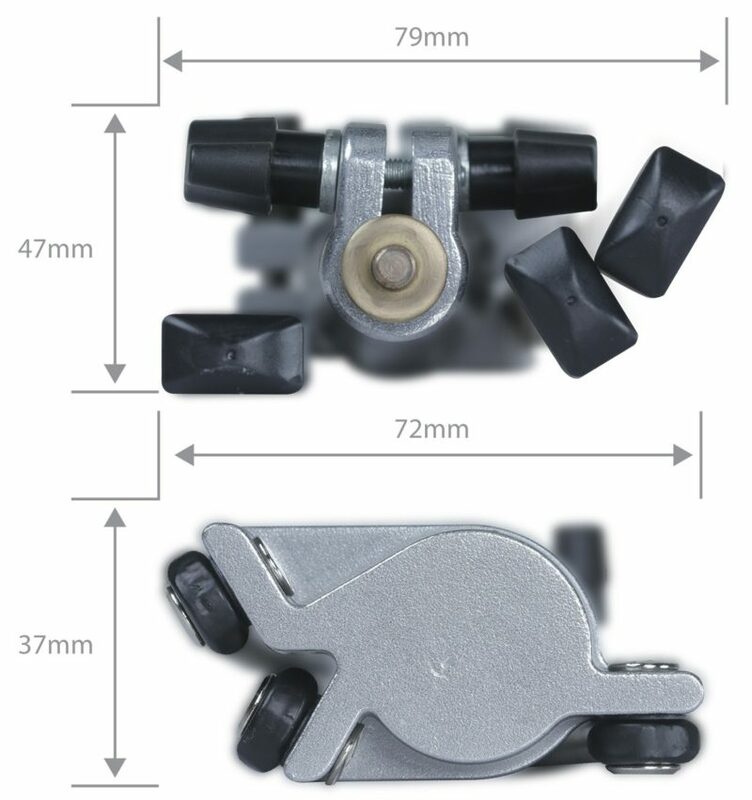 Most are based on the same basic design as the original Manfrotto Nano 5001B, though more recent innovations include the LumoPro LP605 series, which comes with ground spikes and supports a carrying strap. Phottix has a more standard version called the P200 Mark II and a chrome-look one called the Saldo 200. Now, Phottix has released the Padat 200, a compact light stand with a ‘patent-pending’ design that means it not only folds to a short length, but also folds ‘flat’, giving a cross-section that is ‘1/3 smaller’ and is easier to pack in a bag or a case. Rather than collapsing into a rotationally-symmetrical triangle shape, the legs instead fall more or less in line with each other, making it wider but thinner. 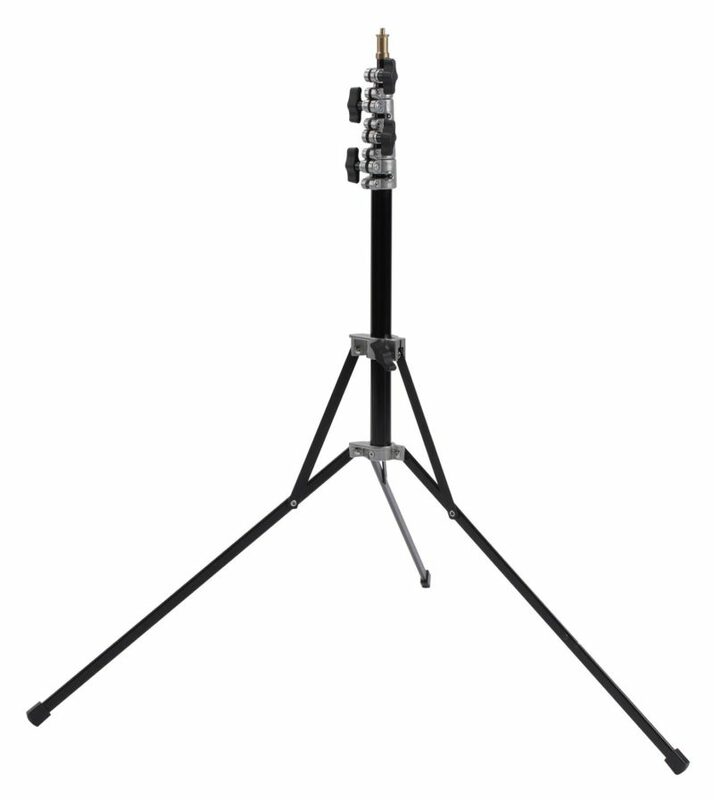 The Padat light stand’s maximum height is 2 metres (6′ 7″) and the folded length is 50cm. The cross section is 79mm × 47mm at its largest point, and is relatively rectangular so should tessellate when stacked with other stands. This isn’t a heavy duty piece of grip equipment—it’s designed to hold small shoe-mount flashes and associated modifiers up to around 1.5 kilograms or so. The main target market is photographers using small flashes and LEDs, who want something that fits in a bag or backpack without adding too much weight or bulk. The name Padat means ‘compact’ in Malay. It also means ‘to fall’ in Czech and other European languages. Phottix were probably going more for the former. The Phottix Padat 200 is available now for $65 from the Phottix Store. That’s around $10–15 more than some regular reflex light stands, but not too much more if you value the slimmer profile. This isn’t the first light stand that folds flat, of course: see also the Kupo Click and various Manfrotto light stands. Do you need something like this for your lighting kit? Share your thoughts in the comments below.